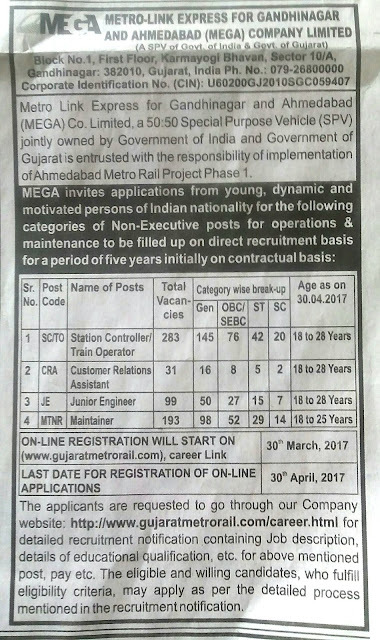 MEGA invites applications from young, dynamic and motivated persons of Indian nationality for the following categories of Non-Executive posts for operations& maintenance to be filled up on direct recruitment basis for a period of five years initially on contractual basis. More full information please read below mention details carefully..
Metro Link Express for Gandhinagar and Ahmedabad (MEGA) Co. Limited, a 50:50 Special Purpose Vehicle(SPv) jointly owned by Government of India and Government of Gujarat is entrusted with the responsibility of implementation of Ahmedabad Metro Rail Project Phase 1. 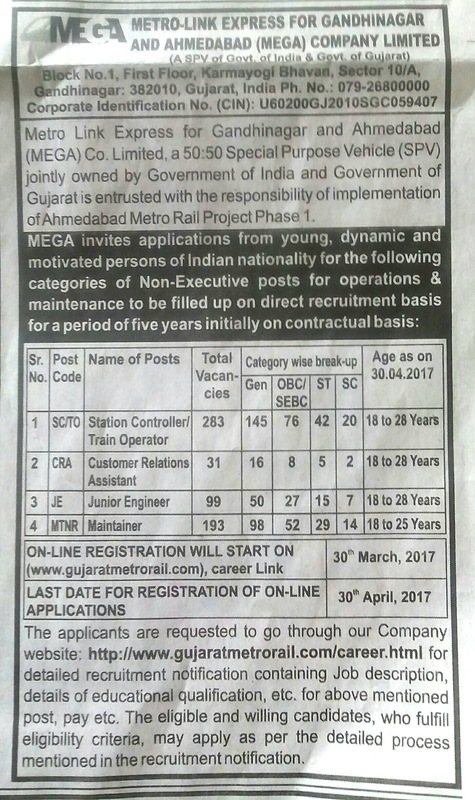 APPLICATIONS The applicants are requested to go through our Company website: http://www.gujaratmetrorail.com/career.html for detailed recruitment notification containing Job description, details of educational qualification, etc. 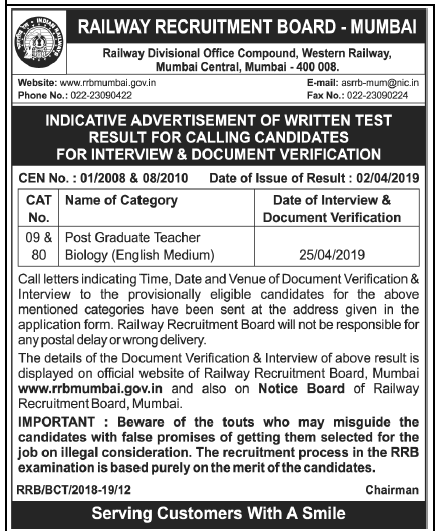 for above mentioned post, pay etc.